At Schlotterbeck & Foss, we’ve had over 150 years to cultivate value-added programs. Our Butcher Program is one of the best. 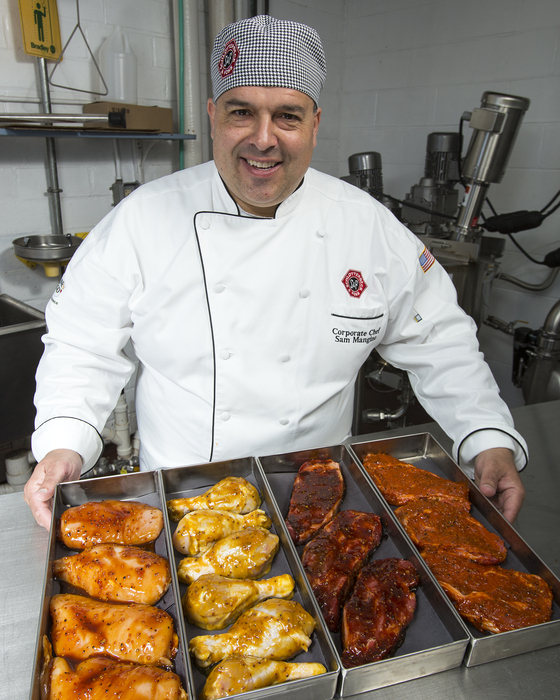 It provides in-store butcher departments with the products, equipment, and service they need to expand their business and meet the growing consumer demand for wholesome, delicious meats that are conveniently pre-marinated. Handcrafted gourmet chef sauces, available by the gallon for bulk marinating and in 12-ounce bottles for complementary retail sales. A vacuum tumbler that produces tender, fully-flavored meat in just 20 minutes, giving stores the flexibility to alternate flavors and quickly and easily respond to customer demand. Extensive support, including training video and documentation that covers everything from nutritional information on each sauce, to operating procedures for the tumbler. Professional, preprinted labels to help customers identify—and return to buy—their favorite marinades, whether by the bottle for at-home use or on your market’s ready-to-go marinated meat.